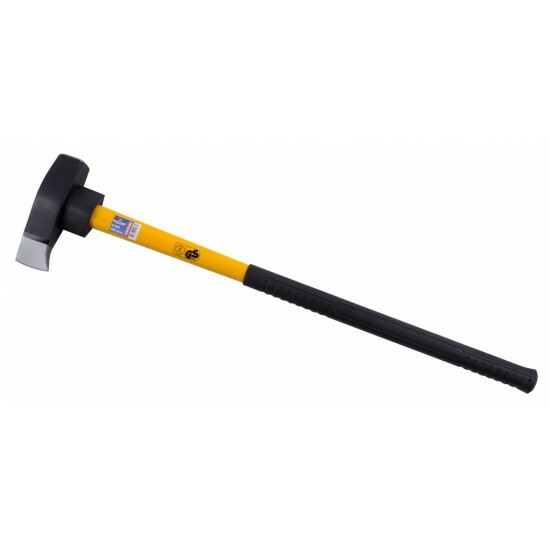 High quality steel head fiberglass handled splitting axe 90cm long. Axe head weight of 3kg and an overall weight of 4.6kg. Positive grip coated handle.